In the mid to late 70′s, a downsizing wave went through the divisions of General Motors. 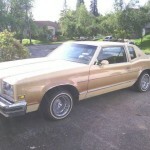 Buick decided to ride that wave in 1977 and introduce a downsized Riviera. 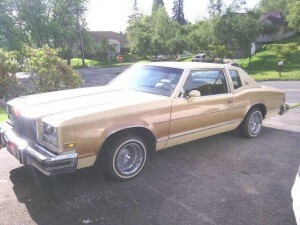 While the previous generation Riviera was a rear-wheel drive variant of the General Motors E-body shared with the Cadillac Eldorado and the Oldsmobile, the 1977 Buick Riviera used the downsized B-body used by the Buick Lesabre, Oldsmobile 88, Pontiac Bonneville/Catalina, and Chevrolet Impala/Caprice. This generation of the Riviera was a stopgap model for Buick. A completely new Riviera would be introduced in 1979 on the all new E-body platform. 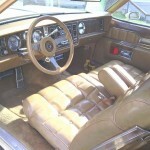 The new Riviera shared many components with the 1977 Buick Lesabre, but had unique styling. 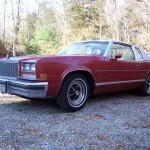 The front end was vertical instead of slanted and the rear quarters were restyled to mimic the 1975 Cadillac Eldorado. 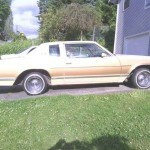 The Riviera had a 115.9 inch wheelbase of 115.9 and an overall length of 218.2 inches. 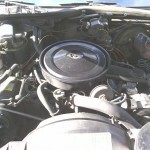 The base engine was the Buick 350 cubic inch V8 and an Oldsmobile 403 cubic inch was optional. Sales were up slightly in 1977 to 26,138 units. Changes were minimal to the Riviera in 1978 as a new Riviera was waiting in the wings for 1979. Only 20,535 Rivieras were produced for 1978. The B-body Rivieras are considered a rare find since they were only produced for two model years. There were two reasons why Buick went the B-body for the Riviera instead of solidering on with the rear-wheel drive E-body. The 1976 rear-wheel drive E-body used 1976 B-chassis and that chassis was phased out when all new B-body cars were downsized in 1977. 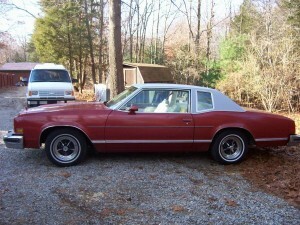 Also, Buick dropped its 455 cubic inch V8 in 1976. 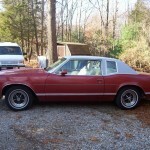 If Buick had stayed with the rear-wheel drive E-body for 1977, Buick would have has to either revise the Riviera’s engine compartment to accommodate the Buick 350 cubic inch V8, which was too small and underpowered for the 1976 Buick Riviera, a 5,000-pound car, or use a larger engine from other GM divisions, which would have limited sales as Buick would have had to depend on excess capacity from the sourcing division. For more on the Riviera, see our post on the 1963-1965 Buick Riviera. For other luxury cars of this era, see our post on the 1969-1971 Lincoln Continental Mark III or the 1965-1970 Cadillac de Ville. To find a Classic Car of your own or to sell your Classic Car, see the Classics for Sale listings. 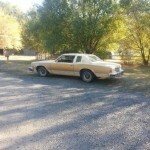 This entry was posted in Buick, Riviera and tagged Boneville, Caprice, Catalina, Delta, Eight Eight, Eldorado, Impala, Lesabre, Toronado. Bookmark the permalink.